Would you rather your expensive wool blend carpet was cleaned by a professional carpet cleaning company in Hyndland, Glasgow ? Call the experienced carpet cleaning service in Hyndland today for your free carpet cleaning quote. Alba Floor Care provides a reliable, fully insured, quality carpet cleaning service in Hyndland, Glasgow and across all surrounding towns and villages. We specialise in the cleaning of carpets in tenement buildings. Our High powered industrial equipment is portable enough for 2 men to lift upstairs so we can clean carpets in Top floor flats to the same standards as we clean carpets in Bungalows. Living on the top floor shouldn’t exclude you from a quality carpet cleaning service in Hyndland. 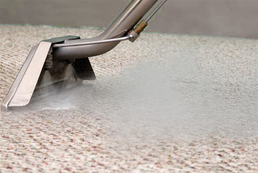 Our carpet cleaning system uses fabric cleaning solutions derived from plants.